Jaeger2, Strategies for Success, is an innovative business and leadership coaching firm founded by Shari J. Goodwin. 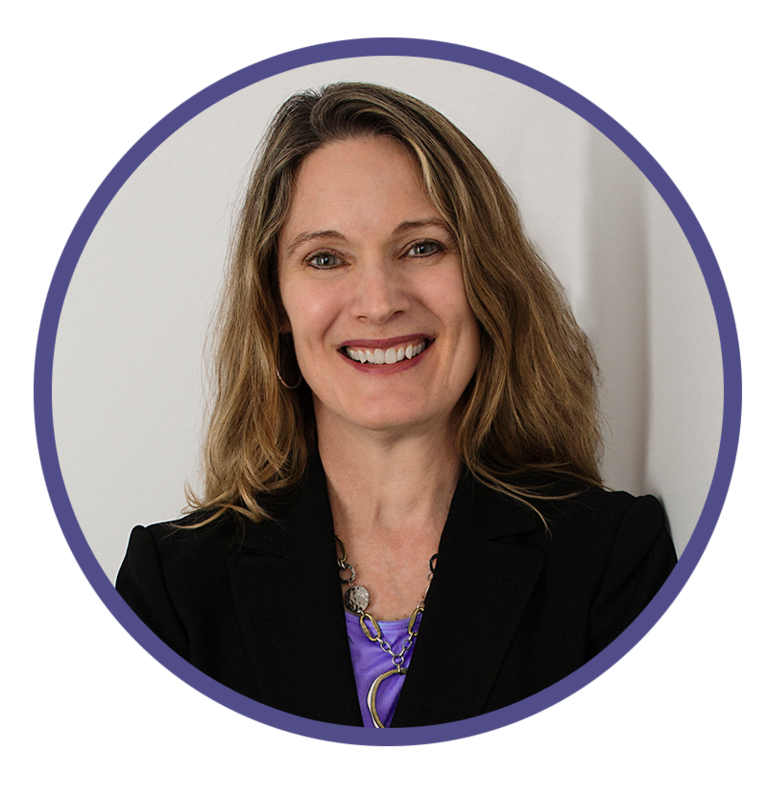 Shari has over 20 years of experience in leadership, staff development and business growth and is an expert instructor of emotional intelligence. As a former engineering manager and director for an international engineering firm, she knows first-hand the challenges of maintaining a competitive edge. She’s developed winning proposals ranging in value from $100,000 to $65 million. As Director of The Jaeger Group, a family-owned information technology staffing and consulting firm, she produced over $2 million in new revenue through cold call sales in the first year of start-up. Shari worked with small start-ups to develop staffing plans and ensure timely product releases and coached hundreds of applicants in resume writing and interviewing techniques to find jobs and achieve their dreams. In 2009, Shari left a lucrative corporate position as Director of Program Strategy and formed Jaeger2 to help businesses and individuals affected by the recession. In addition to her coaching and consulting services, Shari developed a unique leadership training program using horses to help her clients find balance, clarify their business vision, review options, and plan a path forward. This powerful program, Alpha Horse Leadership Training for HUMANS™, has grown over the years and Shari‘s best-selling book, Take the Reins! 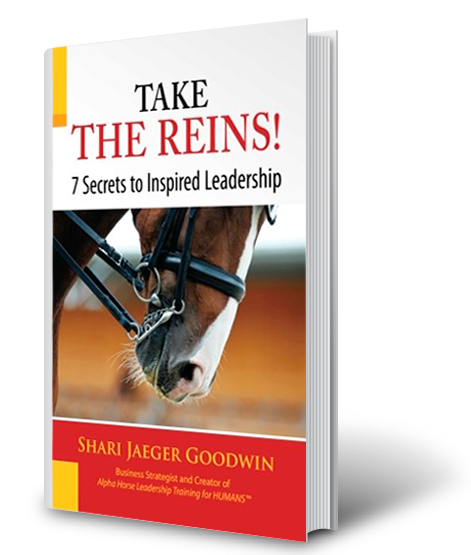 7 Secrets to Inspired Leadership, features the profound teachings from the horses. Shari’s horse experience is extensive. At her farm, she operated a premier horse boarding and training facility, worked to rescue and rehabilitate ex-racehorses, and dabbled in breeding. She was also a competitive rider. All of her horses now assist her as “equine coaches,” expediting client transformation for powerful and immediate results. Shari’s commitment to excellence, unique personalized service, and in-depth knowledge of business practices is highly valued by her clients. She is a sought-after public speaker and facilitator for strategic planning and team-building retreats and has published many articles. Shari holds a Master’s Degree in Environmental Biology and undergraduate degrees in Zoology and English. She is trained in personal and executive coaching by the College of Executive Coaching, and George Mason University’s (GMU) Leadership Coaching for Organizational Well-Being Program. She has completed coursework in the Epona Method,™ Linda Kohanov’s highly acclaimed approach to equine-facilitated learning, and is a certified Equine Experiential Education Association Instructor (E3A) and Equine Assisted Growth and Learning Association (EAGALA) practitioner in equine-assisted psychotherapy. She serves on the Board of GMU’s School of Business Women in Business Initiative. Shari is a member of Women in Technology; and several local Chambers of Commerce. She also serves as leadership consultant and coach to Leadership Fauquier. Jaeger2 is a certified woman-owned small business.